The excitement is at its peak for the people of Brazil who have been welcoming athletes, fans and tourists to experience the spirit of the Olympics in Rio. This year's Olympic organizers are expecting over five billion people from all corners of the world to watch some part of the Rio Olympics during its 17 days course. Starting on August 5, 8pm Rio time, this is midnight on August 6 in Nigeria (Rio is four hours behind GMT); the opening ceremony will be held at the Rio's Maracana Stadium. Olympic opening ceremonies are events to live for, the opening ceremony of the Beijing Games of 2008 paint a masterpiece of Majesty. Against the odds the London Games of 2012 was a spectacular sight, it featured a stand-in for Queen Elizabeth II parachuting into the Olympic Stadium and acts from David Beckham in a speed boat, James Bond, Mr. Bean and the Queen of England. For travelers in Nigeria unable to snuggle up on their Sofa at home, here are some top tips on how to enjoy the Olympic events and get in the Samba groove while on a trip. 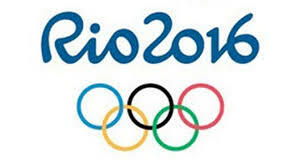 You might intend watching the Olympics when you settle down in your hotel room. Things might go as planned if you booked 4 star or Luxury hotels like the Oriental hotel, Sheraton hotel Lagos or Golden Tulip Festac. These luxury hotels offer the best experience and good satellite Television is just a glimpse of it. However, if you are booking a cheap hotel you might want to read on. The place has a serene relaxation environment and hosts a selection of entertainment events, live music and karaoke competitions. Naijabet has a chain of viewing centers in Lagos, their hub after Yaba market is a convenient place to enjoy the Olympics. This popular sports betting center features a variety of events on flat screen Televisions. Bar 37 offers coverage of all major sporting events on TV screens, it has a serene relaxation environment and hosts a selection of entertainment events, live music and concerts. It's a place can meet with lovers of sports; an arena that imbibes the spirit of the Olympics. Live matches are aired round the clock.